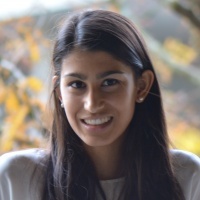 Christelle is a medical doctoral student at the University of Zurich who initially joined the Interface Group in October 2014 for the purpose of her master thesis on afterload mismatch in the context of percutaneous mitral valve repair. She is currently working on her doctoral thesis is on the cardiorenal syndrome. Apart from her medical degree, she holds a BSc in biochemistry (track chemistry/bgiophysics).